Children develop speech sounds at different ages. 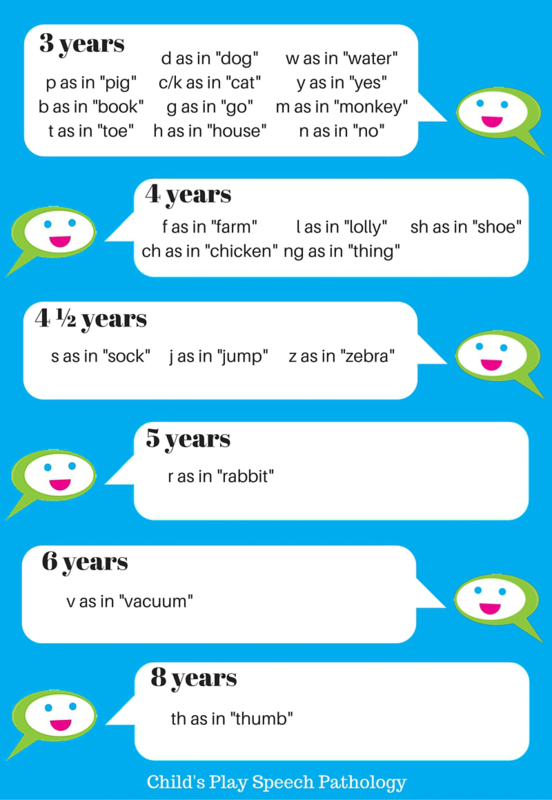 The chart below represents the age at which children are expected to have developed each speech sound. Children who have not achieved one or more of these sounds by the age indicated are likely to experience a speech delay or disorder, and it is recommended that you contact a Speech Pathologist for advice. If you have any questions or concerns about your child’s speech, or would like to make an appointment for an assessment or therapy, contact our Speech Pathologists today.